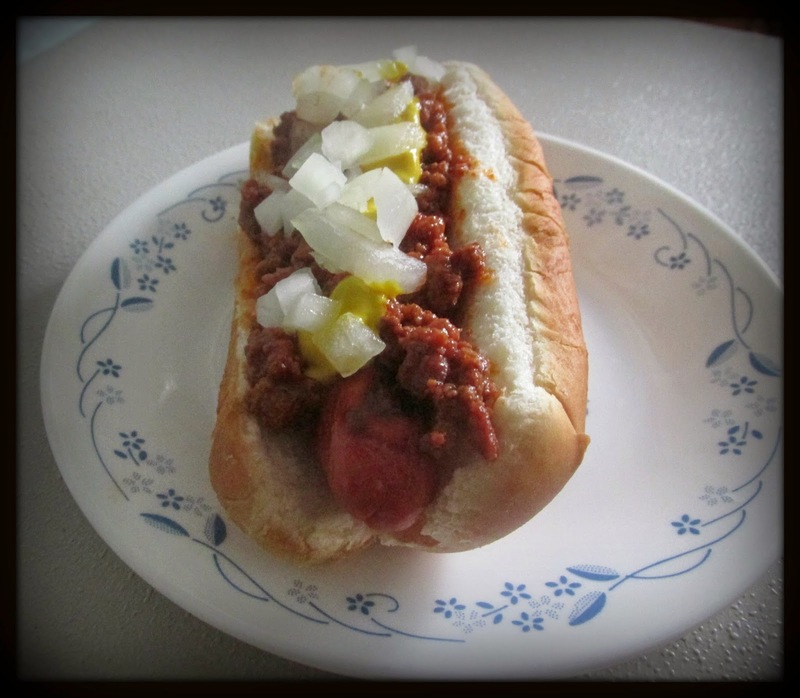 When you come from the Flint, Michigan area there is one thing that you will always love, a coney dog. We are surrounded by coney island restaurants and each one claims to have the best coney island hot dog sauce. This sauce is best served on Koegel's hot dogs if you have them in your state. This recipe makes enough to freeze -depending on the size of your family you might get 3 or 4 meals. Brown onions and ground beef in a large skillet and strain off grease. Add rest of ingredients, then cover and simmer 30 to 45 minutes until thick. Now load up your hot dog with coney island hot dog sauce, a little mustard, and chopped onions. So good!